Student planning on using RESP funds or Student Aid must also have completed high or equivalent level education. 25 hours (with Class 1 Instructor) including: Lesson plans, teaching techniques, theory subjects relating to Class 4 written examination. 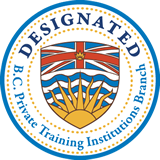 Written Examination: Transport Canada's written examination, AIRAF, may be taken in Vancouver or Abbotsford. The examination includes: Administration, Instructor General Knowledge, Theory of Flight, and Instrument Instruction. A minimum of 70% overall is required to pass. Flight Test: Flight Tests are conducted at Chilliwack by Transport Canada approved examiners. As an employee of a flight training unit and under the supervision of a Class I or II Flight Instructor, the holder of a Class IV Instructor Rating may conduct dual flight instruction in respect of the issuance of a pilot license - aeroplane or the endorsement of a night rating on such a license; authorize a trainee to undertake solo flight in an aeroplane; recommend a trainee for a flight test in respect of the issuance of a pilot license - aeroplane; and recommend a trainee for the endorsement of a night rating on the trainee's pilot license - aeroplane. The holder of a Class IV Flight Instructor Rating may exercise the privileges of a flight instructor rating - ultra-light aeroplane without being under supervision. Q: When can start my Class IV Flight Instructor Rating? A: Candidates for the Rating may begin their program as soon as they have achieved the required qualifications. In order to begin the ground school portion of the training, candidates must have completed at least 150 hours flight time, must have passed both their written and flight test for the CPL (aeroplane) and must hold a current Class I Medical Certificate. To begin the flight training portion of the Class IV Flight Instructor Rating (aeroplane) candidates must hold a valid CPL or ATPL and a valid Class I Medical Certificate. Q: How long will it take to earn a Class IV Flight Instructor Rating? A: Once again, it is difficult to quote an exact time frame. The program is a challenging one and requires considerable time and effort on the part of the candidate. A significant amount of time will be devoted to developing lesson plans and materials which the candidate will be able to use as teaching materials during his or her future career. Ground school and flight training combined will require a minimum total of 65 hours. Candidates able to devote full time to the program will complete it in considerably less time than those who are only able to devote part time. Q: Will my Flight Instructor Rating be valid for all Canadian provinces? A: Yes. Your Flight Instructor Rating is valid for any region in Canada and qualifies you to provide flight instruction under the supervision of a Class I or II Flight Instructor at any Flight Training Unit across Canada. Q: How long is my Rating valid for? A: Your initial Class IV Flight Instructor Rating (aeroplane) is valid for 13 months following issuance. It can be renewed either by attending a Transport Canada Instructor Refresher Course (highly recommended) or by taking a flight test with a qualified Transport Canada Inspector. Or, you may earn a Class III Flight Instructor Rating prior to the expiry of your Class IV Rating by recommending three students for first solo, 3 students for flight test and conducting at least 100 hours of flight instruction time. Q: How much money do Flight Instructors make? A: The pay scale for Flight Instructors varies from school to school. Typically, you can expect to earn something like $20/hr for instructional time. The Air Transport Association of Canada website: www.atac.ca has excellent materials on aviation jobs in Canada including information for flight instructors. Q: What are the prospects of finding employment as a Flight Instructor? A: Currently, prospects of employment as a Flight Instructor are excellent. There is now significant movement in the aviation industry which has opened up jobs for instructors. One good site to explore is www.avcanada.ca which has postings for aviation related jobs including flight instructors across Canada. Currently, the market is excellent and the prospects are improving steadily.